By MoVernie on	 April 1, 2019 What's Going On? Yes, today is April 1st, also April Fools Day, but it’s no joke, today is indeed the 1st day that Ontario Cannabis stores are open for business, selling cannabis products to customers for recreational use. It’s been a long time coming as the government for the Province of Ontario were having back and forth regulations, constant changes on the requirements from the cannabis stores in Ontario. Cannabis stores in Ontario originally were supposed to handle and run by the province of Ontario, and then later ditched that idea by Premier Doug Ford and decided to allocate licenses to private stores. Then, it went from issuing many licenses to cutting down to only 25 licenses to 25 vendors who can legally have a physical store to sell the cannabis products. The official Ontario website provides INFO to learn about recreational cannabis and where the public can buy it in Ontario, and find resources on its health effects. So, it was a back and forth struggles for consumers and cannabis owners to consistently adapt to the constant changes in the government regulations. So, for many, this day of finally having cannabis stores open for business is a day to celebrate. However, not every cannabis store in Ontario are ready for business. 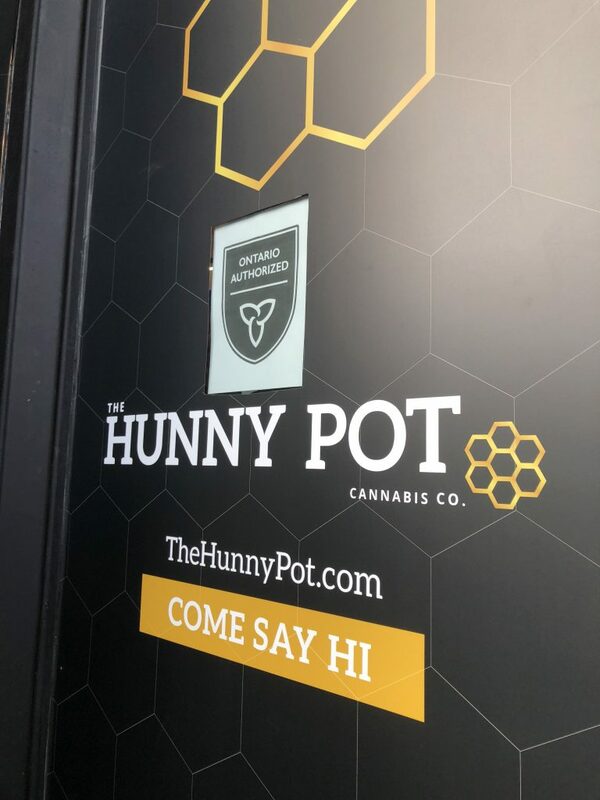 So far, only 1 store in Toronto is able to open on time, it’s the “Hunny Pot Cannabis” located at 202 Queen Street West (Queen Street West & University Avenue intersection), more like across the iconic T-Rex bar. Hunny Pot is able to get everything together as the owner, Hunny (no joke, his name is really called Hunny) assembled the team of staff the moment he was granted the license and be ready to setup the store, designers to design the store and having lawyers ahead of time to register and abiding all the law guidelines in time. Apparently, those cannabis stores who are not ready to open for business may potentially be getting a monetary fine by the Province of Ontario for each day they fail to open. Anyhow, this is the society we are living in, like it or not, we should educate ourselves and learn more about cannabis. What are its benefits and harmful consequences? What are the law and regulation? What does a cannabis store looks like? Does it look ghetto or classy? 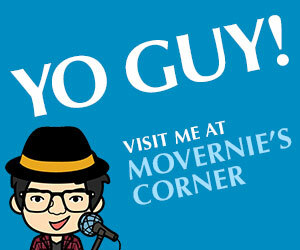 As you know, MoVernie is ALWAYS on the MOVE, so we will find out and explore and share any content we know with you. Stay tuned!